Be careful when trying top lane Viktor in solo-queue. As the sole remaining LCK team at the World Championship, Afreeca Freecs began their quarterfinal match against Cloud9 by throwing the Viktor top lane curveball at North America’s third seed. 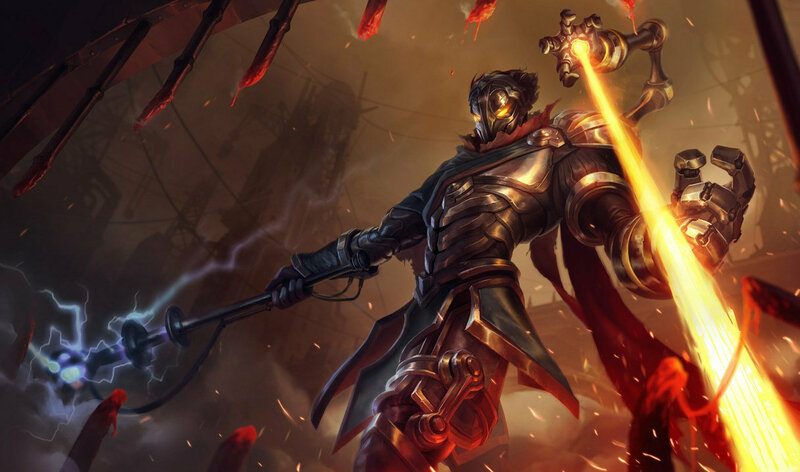 This pick has been floating around solo-queue for quite some time, but Viktor top lane finally made its competitive debut on the world’s biggest stage. Whichever team at worlds bust out the Viktor Top Technology is going to win it all. In the hands of arguably the best top laner at the World Championship in Kim “Kiin” Gi-in, Viktor had a successful start to the game. After earning an early kill onto C9 top laner Eric “Licorice” Ritchie, Kiin dominated the top lane. With a ton of sustain thanks to his Kleptomancy keystone, Kiin won his lane handily, ending the laning phase with a farm advantage over Licorice. Unfortunately for Kiin, though, the rest of Afreeca weren’t faring nearly as well. Afreeca drafted losing matchups in both the mid and bot lane, so their lower half of the map fell into a deep gold deficit. Afreeca mid laner Lee “Kuro” Seo-haeng was especially behind, getting solo killed by C9 mid laner Nicolaj Jensen, who had almost a 50 creep lead over Kuro’s Kassadin as LeBlanc. By the time teamfights started to arise, Afreeca fell apart. Kiin, who had built armor against Licorice’s Aatrox, became yet another target for Jensen to shred through. Although Afreeca were unable to beat C9 with Viktor, hopefully this loss doesn’t dissuade the LCK second seed from trying more unique strategies as the series progresses.